We want #DOULAS4ALL! Doulas are important for reducing negative healthcare outcomes and should be available to all families regardless of income. Are you committed to making birth support accessible to all families in Washington? Do you want to improve health outcomes for families from low-income backgrounds? Do you have a powerful personal story about how a birth worker or doula made a positive difference in the life of a parent or child? The good news is the Governor Inslee’s budget includes this, but our state legislators (who represent us) have to approve the budget. We know doulas are rad, but not everyone does. This is where you come in! 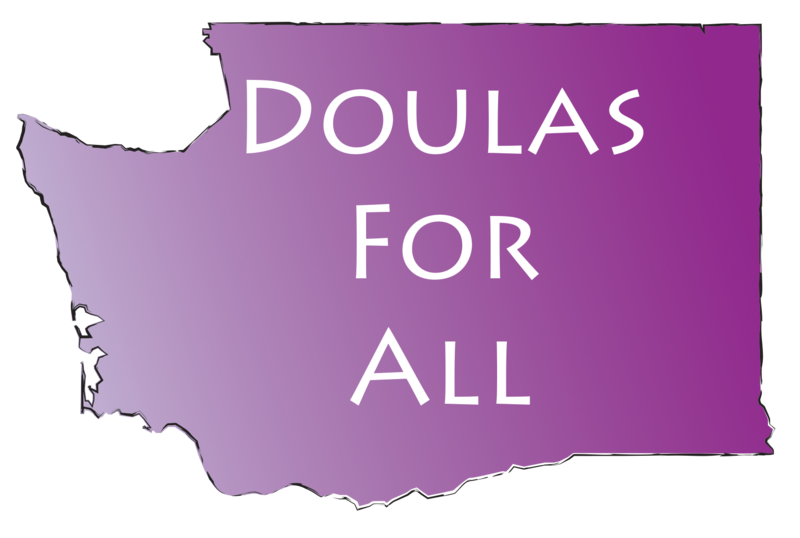 Legislators better understand what doulas do and why they are vital to families from marginalized communities from all over Washington State through your stories. Please join us!